I believe that we have an obligation to look out for one another and to make things right for those who have been harmed through no fault of their own. I believe in standing up for the little guy. Denver personal injury lawyer Sean Olson focuses on his clients and ensuring they get fair treatment, but that’s not all. He’s also a former photographer and an author. 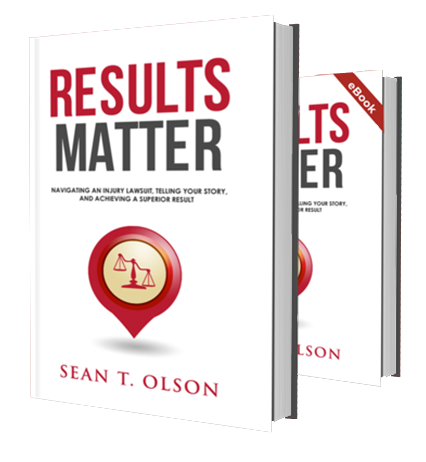 In his book, Results Matter, Sean delves into navigating a personal injury lawsuit, how to tell your story, and how to get the best results possible. It’s a fantastic way to familiarize yourself with a personal injury lawsuit and with Sean himself.